Based in Australia, the Orange Watch Company launched a limited edition of 50 Military Submariner homage watches housing the Seagull ST2130, a Chinese clone of the Swiss ETA 2824-2. 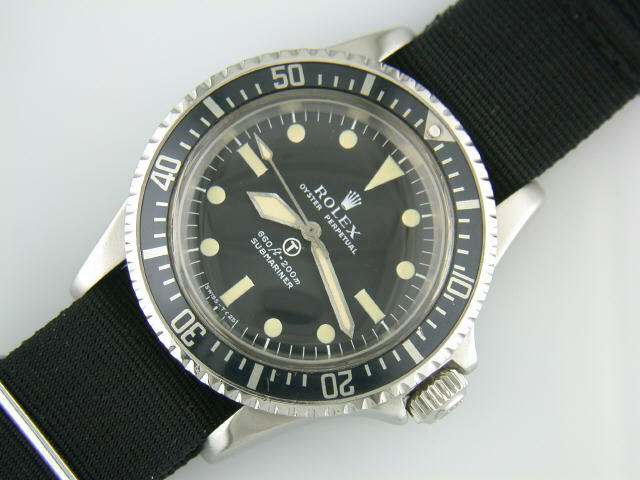 The original Rolex Submariner produced for the British Royal Navy was characterized by a dagger-shaped hour hand and painted Tritium indexes. The case had the bracelet spring welded on and the bezel had a complete minute track. The OWC is currently working on a Tudor “Snowflake” homage. The Watchuseek forum features a comparison of the ETA 2824-2 and two of its Chinese clones. Click here to read the article.